« Turning Negative Choices into Positive Outcomes! Sarah has a very athletic background with Gymnastics and Cheerleading. Currently she coaches Cheerleading for the Dakota Spirit. 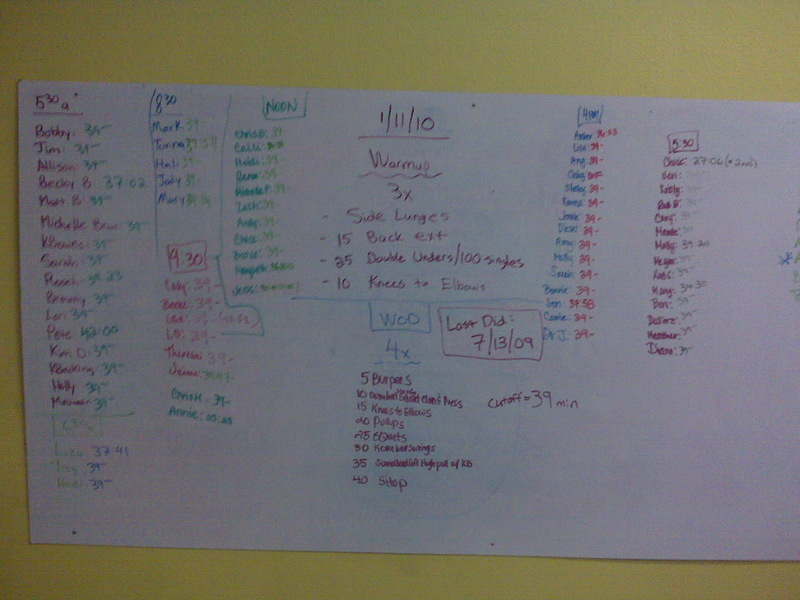 When Sarah started CrossFit back in Sept 09 we all knew she had a TON of potential because of her athletic background. She is really now starting to shine in the WODs (no bands with pullups, improving her strength on the Lifts every week, and finishing strong on the workouts). Keep working hard Sarah and you WILL be one of the top athletes at CrossFit Sioux Falls in no time! We appreciate you and everything you bring to our awesome community. This entry was posted on January 11, 2010 at 8:01 pm and is filed under Members. You can follow any responses to this entry through the RSS 2.0 feed. You can leave a response, or trackback from your own site. This is a much deserved AOW! Sarah is always pushing herself and consistantly kills the wods! Keep it up Sarah!! BOOM! yaaa good job Sarah!! Thanks for always pushing me and making sure we can get to a class together during the week ! MUCH DESERVED! CONGRATS Sarah!!! I’m so glad you are coming to CrossFit and I always enjoy working out beside you! You truly are our “Librarian Powerhouse”!!! 🙂 Keep up the great work! Well done Sarah… keep rockin’ it! Keep it up!! I love working out with you! Way to go Sarah! I love working out with you… you always push me! Keep up the awesome work!